As the heat goes so goes the fishing, we have reached the summertime heat and fishing is just ok you must keep moving and searching and really focus in on your bites. Don’t leave your bites until you are sure there isn’t more of them, work your areas thoroughly and move on only after you have really examined and fished the area you got bit in. The top water bite early is good if you can work a bait but there lots of floating grass and debris to deal with, I like the Picasso Buzz bait it’s the best option around the debris. 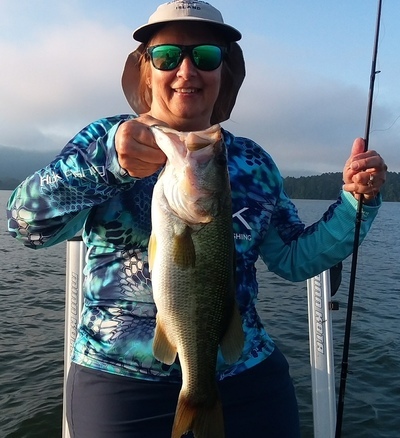 The most consistent bite is on soft plastics, Missile bait “48’ stick baits, big worms like their twin tale worm and Tight-Line football jigs or swim jigs off the thick grass. Concentrate from 7 to 20 ft. until you find a depth the fish are active in. Fish slow and be precise with you casts to the best cover! Come fish with me no one will treat you better or work harder to see you have a great day on the water. We have licensed USCG guides available to fish with you, we are experienced and serve you well. We fish with great sponsor products, Lowrance Electronics, T&H Marine products, Power Pole, Vicious Fishing, Duckett Fishing, Navionics and more.